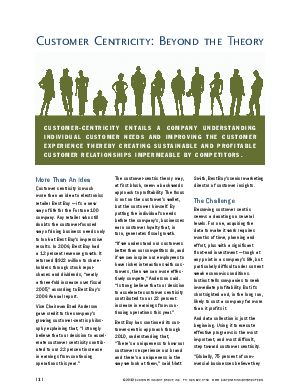 The customer-centric theory may, at first blush, seem a backwards approach to profitability. The focus is not on the customer's wallet, but the customer himself. Learn how successful businesses have increased share of wallet and generated fiscal growth by putting the individual customer's needs before the company's.